Actor and producer Nnamdi Asomugha and director Matt Ruskin on the set of "Crown Heights." 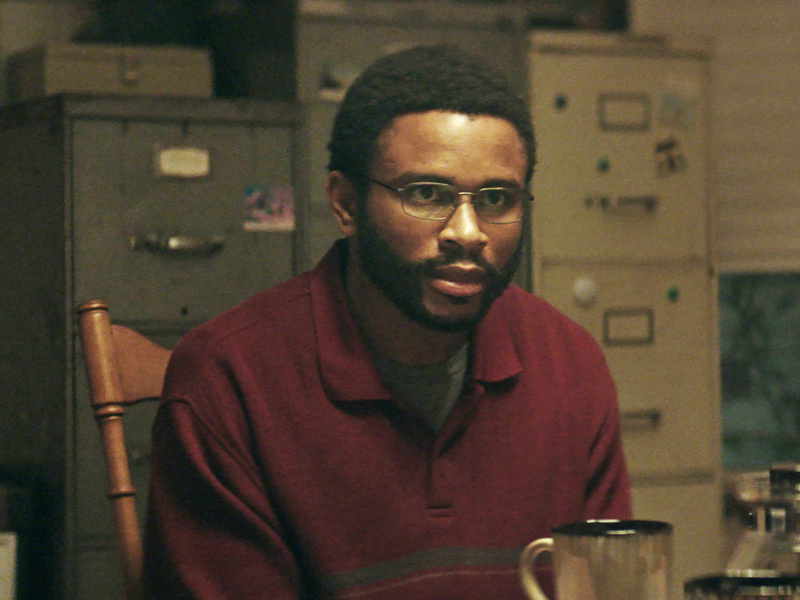 You might know the actor and producer Nnamdi Asomugha from his old job. He was was a cornerback for the Oakland Raiders for years, then he was with the Philadelphia Eagles and he ended his career with the San Francisco 49ers. He also played college football for the University of California, Berkeley. When Asomugha retired from the NFL in 2013, he landed a producing role on Cary Fukunaga’s "Beasts of No Nation." You know, a few months after I retired, I find myself in Ghana around the cast and crew, shooting this film and there for a couple of weeks and just being like, three months ago, I was walking into a football stadium getting ready to play now I'm in Ghana with all these cameras and trying to make a movie. It was really one of those mind-blowing moments for me. Now he’s an actor and producer in the new film "Crown Heights," based on the true story of Collin Warner, who spent 21 years in prison for a crime he did not commit. Asomugha plays Carl King, who dedicated his life to helping his childhood friend Warner, played in the film by Lakeith Stanfield. Nnamdi Asomugha in "Crown Heights." Asomugha always knew he would get into acting after football–he loved movies and was inspired by a college teammate's performance in "Porgy in Bess." But he fell into producing by chance after a manager had shared a script for "Beasts of No Nation" with him. Three months after he left his career in professional football, he was on the film set in Ghana. "The thought that you could have these two completely different careers and have them happen so quickly after each other... I was looking around and I was like, is this really happening?" says Asomugha. "I don't know anything about this space. It's foreign to me completely from being in Oakland or Philadelphia, getting ready to play a game. But I still felt a sense of purpose." When Asomugha stopped by The Frame, he talked about the transition from one career to the next and what, if anything, film and football have in common. A teammate of mine had a play that he was doing and he asked all of us to come and support him. ... I was the ringleader for kind of putting him down and laughing and getting all the guys together. I made five other guys come down and see his play, I think he was doing a play called "Porgy and Bess" down there in Wheeler or whatever it was. And we all went down and he absolutely blew me away. And that was the moment where I said, Oh, you know, this can be cool. It's okay to do this. This doesn't take away from your macho, machismo or whatever it is. You kind of have to be secretive about what you're doing post-football because if you're really outward and everyone knows about it while you're playing football then the rap on you is, Oh, you don't care about the game. It happened to a lot of my friends. ... So I knew that I needed to start preparing for life after. I just didn't know how much I could talk about it. Luckily enough for me I reached at level in the game where no one questioned my work ethic or my ability and then I was like, I don't care. Every off-season I might do a scene in a TV show or something just to keep that going. Marsha Stephanie Blake and Nnamdi Asomugha in "Crown Heights." There's a "This American Life" broadcast of Collin and Carl and it's talking about their story. ... It goes through the whole timeline and what Carl did to get [Collin] out. I had never heard it. Matt Ruskin, our director, heard it so he wanted to make the film. So he made a five-minute documentary of the two guys and he was sending it around and it made its way to me. I asked my manager if I could audition for it so we went to Matt. He let me audition, eventually, after he got over the football player thing. He let me audition and I was lucky enough to get that part. I was just honored to be a part of it. I remember we screened it at Sundance. We won the Audience Award at Sundance. And the first premiere that we did there, Collin and Carl were able to get on stage and get a microphone in their hands. And they were able to talk to the crowd and answer questions and tell the people about their story. And that was, to me, the greatest moment of this whole journey because that was the goal. John Horn with Nnamdi Asomugha. From the producing standpoint, it's that team atmosphere. Oh man, you miss it so much when you finish playing especially when you play for most of your life. You miss just being a part of a team and being a part of the guys. So I definitely think producing brought that back for me. A bunch of people working together for a common goal. Months after I retired, the Kings won the Stanley Cup and I was there for that game. ... I happened to be there with a buddy of mine and I was like, Oh, I miss this. The crowd and this whole sort of thing. And I remember asking one of my friends who was still playing at the time, Charles Woodson. I asked him, You know, I really want that feeling again. And he basically told me, You're not going to get that feeling again but try and get as close to that feeling as possible. Two months later, I was doing a reading for a play in New York. Before you come out onto the stage, you have to go through a tunnel. And then when you come out for a reading the whole crowd starts going crazy. And I was just like, This is it. 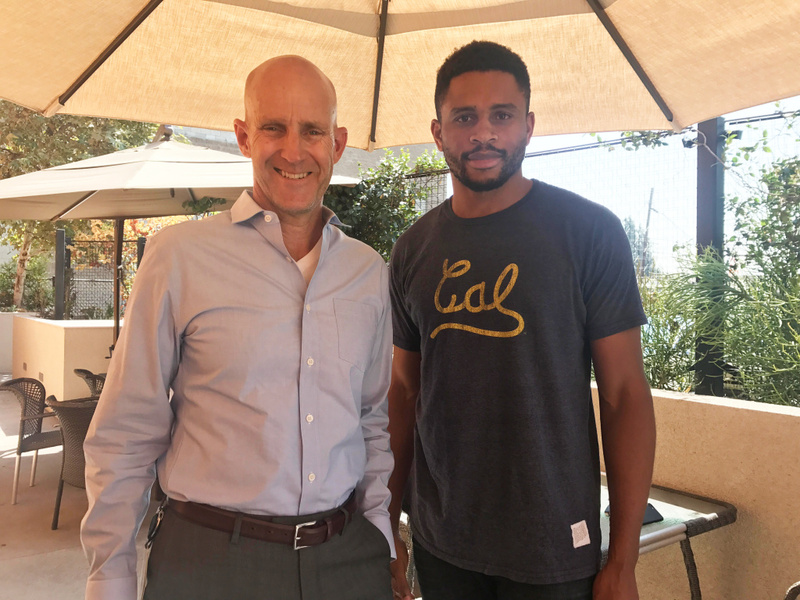 To hear John Horn's full interview with Nnamdi Asomugha, click on the player above. To get more content like this, subscribe to The Frame podcast.